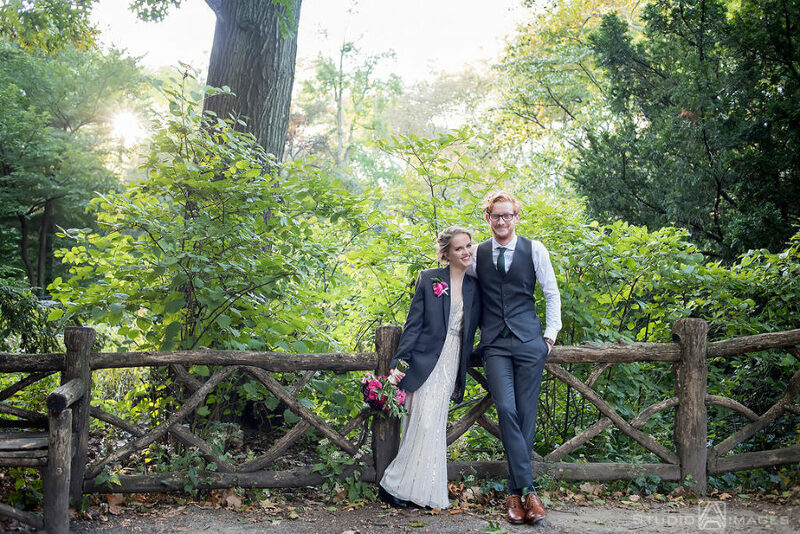 Central Park can feel massive at times, but locals know how to find their favorite private oasis within the park and Grace and Michael did just that for their intimate wedding. 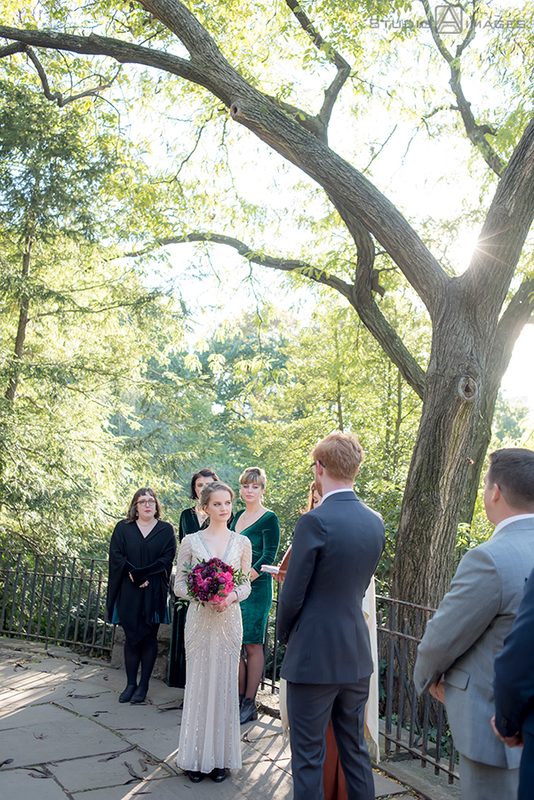 Above Shakespeare Garden, with the light coming through the tree canopy, they were surrounded by family and closest friends, as a good friend married them. 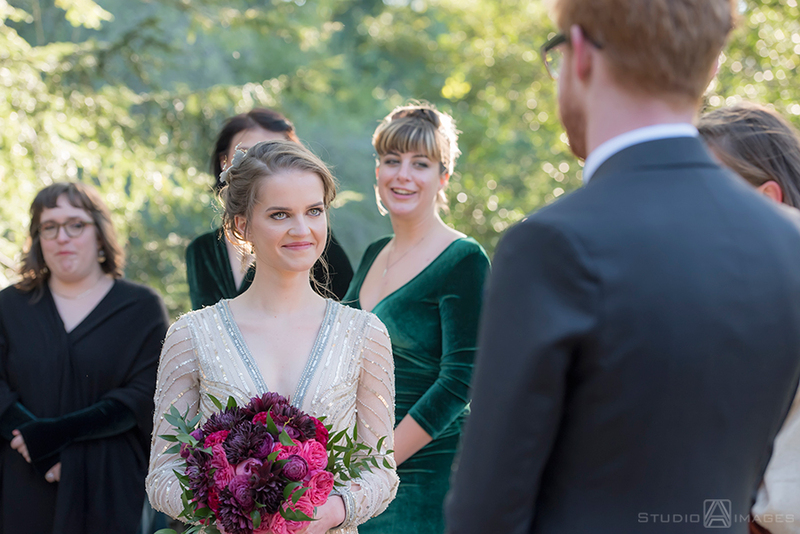 Their vows were so personal and full of laughter – it may be one of my favorite ceremonies of the year!